Few places offer such varieties of landscape as the American West and few capture its rare beauty as does Carol Grigus in her vibrant, light-filled oil paintings. 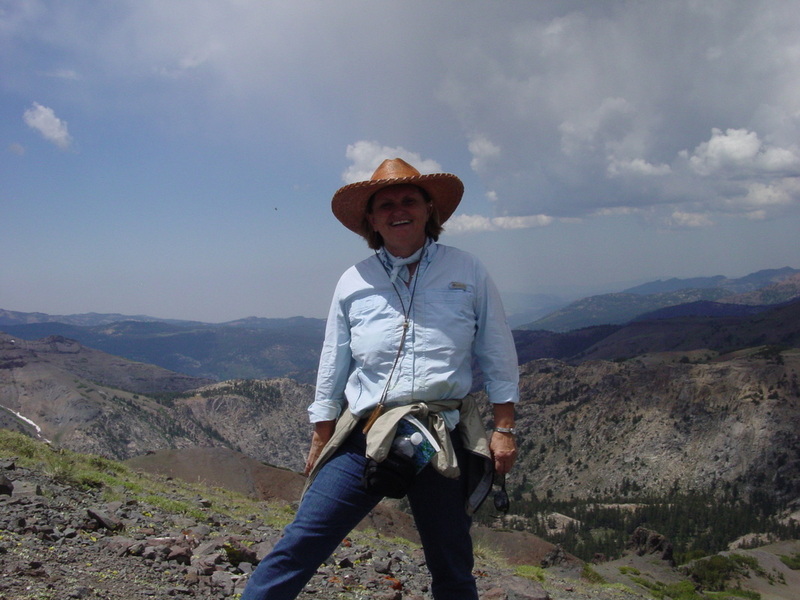 Today Carol most often sets up her easel on the shores of Lake Tahoe or in the mountains of the eastern Sierra Nevada.
."en plein air" in the open air.....! Nevada artist Carol Grigus grew up in Chicago. "I spent many weekends exploring the art galleries of the Chicago Art Institute, CAI, and am extremely grateful to all those masters who inspired me for a lifetime; and to my parents who always encouraged me to follow my passion!!! Somehow I knew art would be a large part of that journey." In 1972 she received her B.F.A. in Industrial Design from the University of Illinois, Urbana, and worked for a large midwestern manufacturer as their first female furniture designer. The Bauhaus influence, the "less is more" school of design, was everywhere in furniture, architecture and in modern art. This graphic approach to product design is reflected in Carol's approach to landscape painting... "I'm always simplifying form." She continued to take master classes with then director Irving Shapiro at the American Academy of Art and also classes at the CAI. Shapiro taught his students the absolute necessity of 'thumbnail' sketches, which she still makes today. You'll see these 'thumbnails' on her "In the Field" section of this website. True to her 'wanderlust' nature Carol moved to Lake Tahoe, Nevada in 1977. She was a graphic designer for several years, married a loving and supportive man, and raised a truly inspiring family. A Wolf Kahn exhibit at the NV Museum of Art in 1997 changed Carol's artistic direction. "Smitten by his paintings, the mesmerizing colors, the enormity of his canvases and his subject matter, I had to see what oils could do for me." More workshops with P.A.P.A. master oil painters Jean LeGassick, George Strickland, Kevin MacPherson, Pete Adams and others helped further her painting education along with miles and miles of canvases! "In 1998, I organized the Plein-Air Painters of NV, PAPON, a small band of intrepid artists willing to go outside to paint weekly. It was the start of hundreds of outdoor PAINTS!..... many great friendships and some of the very first local "plein-air " art shows in 2001,02 and 2003. I continue to paint regularly with a new regional group, the Reno Tahoe PleinAir Painters with several more local art shows. Nature has always been my Muse, inspiration, my poetry, renewal and as Muir said: my "true north." Painting, hiking, snowshoeing, kayaking, camping, birding!! all have drawn me to that 'ahha' moment." The Japanese call it Shinrin-yoku, "forest bathing". I call it my 'bliss'. As John Muir said: "..the mountains are calling and I must go." Inspired by him, I continue to be inspired by the contemporary master painters: Scott Christensen, Richard Schmid, Jean LeGassick, Carolyn Anderson, Dinah Worman. Other masters include Andrew Wyeth, Sargeant, Degas, VanGogh, Monet, Zorn and Sorrolla!! The Russian painters, especially Fechin, have also influenced my work! When I'm not outdoors enjoying the sylvan environment, you'll find me in my studio finishing, reading, or just moonwatching!..maybe a nocturne?! .....​"the mountains are calling and I must go.".. john muir. Several other master workshops with painters Jean Legassick, George Strickalnd, Kevin MacPherson, T.M. Nicholas, Linda Tippetts, Howard Carr and Pete Adams. 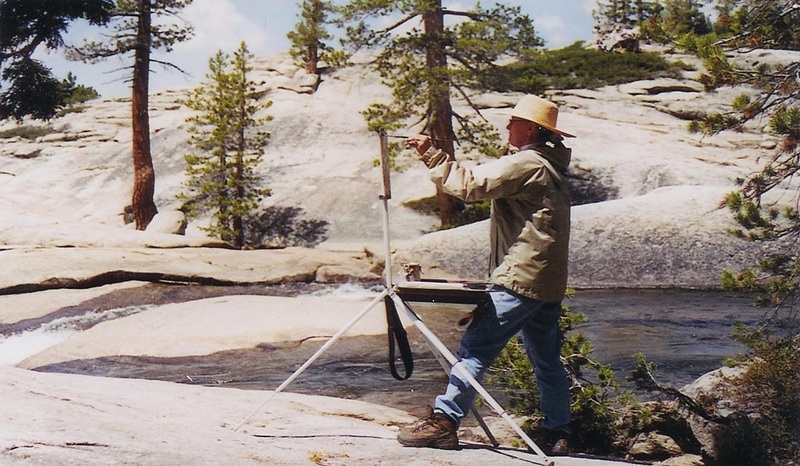 Founding member of PAPON, the Plein-Air Painters of Nevada, 1998. Habitat for Humanity, Reno, NV. Scenic Nevada. Please contact the artist for a more detailed resume. Several private collections throughout the U.S.